Description:14 flutes, 13mm square drive, cap style. 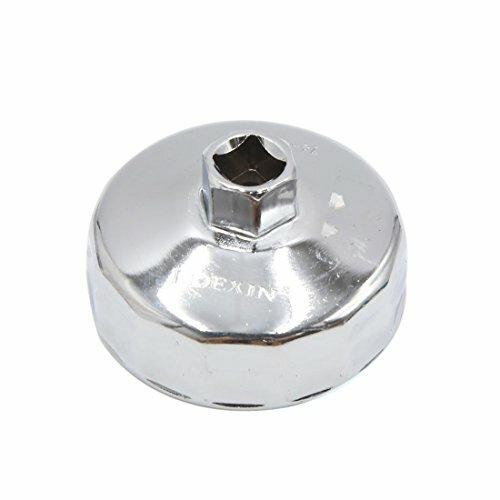 Oil filter wrench provides maximum torque with multiple contact points and will not break or damage fragile and plastic filter cartridges. 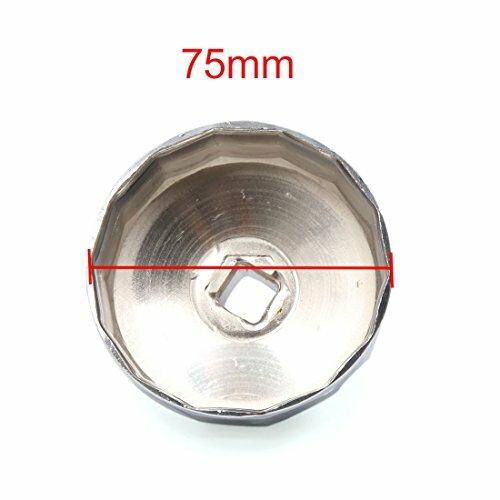 Dimension: 79 x 44mm/3.1" x 1.7"(OD*H); Square Socket Size: 13mm/0.5"
Inside Diameter: 75mm/3.5"; Outside Diameter: 79mm/3.1"